The Isle of Axholme Lions. A charitable organisation serving the Isle of Axholme, North Lincolnshire UK, since 1966. Lions Clubs International, a service membership organization of over 1.4 million members worldwide founded in 1917 in the USA. Our 46,000 clubs and 1.4+ million members make it the world's largest service club organization and also one of the most effective. Their members do whatever is needed to help within their local communities. The Lions motto is "We Serve." Local Lions Club programs include sight conservation, hearing and speech conservation, diabetes awareness, youth outreach, international relations, environmental issues. Once again Isle of Axholme you have been more than generous with your donations. That is the amount (the second highest ever), you donated to Santa & his helpers in 2018. ROAR 2018 a huge success for Isle schools! Of the 15 schools taking part in the District's ROAR2018 event, 3 were from the Isle, Haxey West Butterwick & Owston Ferry. Haxey were the winners of the final held in Nottingham, they are pictured above after their final win. They will have a book published of their winning ideas, which will be available on Amazon. We are committed to supporrting as many Isle schools as possible to take part in this years event #ROAR2019. Lions member John Smedley presents a cheque for £800 to Westwoodside school pupil Eve Lowe with Ryan Brocklesby, Niahm Curtis & Bear Drew, along with Sally Smith the SENCO at the school, towards the costs of their Sensory Hub. Chris Godley (right) of the Isle Lions with Crowle Primary Academy Head Teacher Rhonda Blakemore, pictured after the £500 towards the schools raised garden beds project. Isle Lions member John Smedley, centre, is pictured presenting Cub, Alicia Hall of the 18th Gainsborough, Haxey scouts, with a cheque for £872 towards improvements to the newly opened Haxey Youth Hub, which will be the new home of the Scouts. Local Schools take part in the Lions #ROAR2018 project. It’s estimated that over 70% of 7-year-olds have already formed strong opinions about their future, ruling out possible career paths, because they already believe they’re not achievable. We think that’s unacceptable and that every child should be taught that anything is possible! Roar2017 is an education project where the international voluntary organisation - 'Lions Clubs' and the ideas company 7billionideas, have come together in our bid to inspire the next generation to think big and dream big about the possibility of their ideas. How will we do this? By creating an inspirational ideas competition where we will challenge primary school students to generate and develop ideas that could change the world. This competition will help to improve children's confidence and levels of self-esteem throughout. Why have we called it Roar2017? Because we want the next generation of children to start shouting out loud (and roaring out loud!) about their ideas. It also ties in nicely with the symbol of the Lions! The top three pictures show the launch of the Lions #ROAR2018 project at Haxey C of E school with 7 Billion Ideas facilitator Charlie Limm & Isle Lions member Terry Condliff. Bottom left are some of the Haxey pupils who took part in the launch. The remaining two are of the presentation at Owston Ferry Primary school with pupils George, Alicia, Charlie & Isabella. The Isle Lions celebrated 50 years of service the the Isle of Axholme in 2016. To celebrate the International organisations 100th anniversary this year, we have undertaking individual and varied projects up to te value of £500, with schools in the Isle of Axholme. Here is a gallery of our President Richard presenting plaques to commemorate the completion of some of the school's projects. Keadby & Althorpe Primary with their wall mounted motivational letters. Crowle Primarie's raised beds in situ. Luddington Primary with their outdoor toy storage equipment. Pres Richard presents the plaque to Head Jo Buckle & teacher Liz Shah @ Haxey C of E Primary, for outdoor wooden toys. Dep Head @ Owston ferry Primary Christina Brinkley, with Pres Richard with pupils using the outdoor maths equipment. West Butterwick Primary Dep Head Emma Clipsham with pupils in the outdoor equipment & play area. Are you interested in becoming a LION?? Do you have a few hours to spare each month? Do you want to meet new friends and help those in need in your local community and across the world? Our 24th annual golf tournament took place @ the Lincolnshire Golf Course near Crowle on 22 June, pictured is Lion Nick Culpin with the individual mens & ladies trophy winners, Gill Hallgate & Keith Whall, the event raised an excellent £1200, thanks to all the players & hole sponsors & to Lion Terry & his team for the organization. Welcome to Chris Godley, our newest Lions member, pictured with President Richard, after his induction @ our last meeting, welcome to Lions Chris! ​Another Fantastic Acoustic Evening performed by local musician's, 21 April Haxey Memorial Hall. Some pics from our Acoustic Evening, thanks to everyone who attended & especially to all the performers, so much talent around the area! We raised over £700, special mention to Lions Chris & Albert for arranging the event and also performing. Trauma Lions presented to Scunthorpe hospital in joint club effort. ​Ten years ago local Lions Club members came up with the idea to give cuddly soft toy lions to the Scunthorpe Hospital Disney Ward and A&E. They were seen as ‘bravery lions’ given to children to provide a distraction during a traumatic time. They proved to be very successful and we are pleased to have been able to continue giving ‘bravery lions’ every year since. This year Barton, Brigg, Glanford & Lindsey, Isle of Axholme, Scunthorpe and Winterton Lions Clubs will deliver another 600 toy lions throughout the year, all made possible by the kind donations given to the local Lions Clubs from the public and businesses of North Lincolnshire. have already given away their fisrt batch of bottles and have taken delivery of more of the potentialy life saving containers. Ben & Lisa Hepworth (pictured left) of Mowbray's, say they are are delighted to help the Lions with this worthwhile scheme. The bottle is kept in the fridge, where the emergency services will be able to find it in the event of being called to your home. We will know you have a bottle by the two labels displayed on the inside of the front door or on the main entrance to your home and the other is for the door of your fridge. This scheme is free to the user. Whilst it is focused on the more vulnerable people in our community, anyone can fall downstairs, so this scheme can benefit anyone, including you. 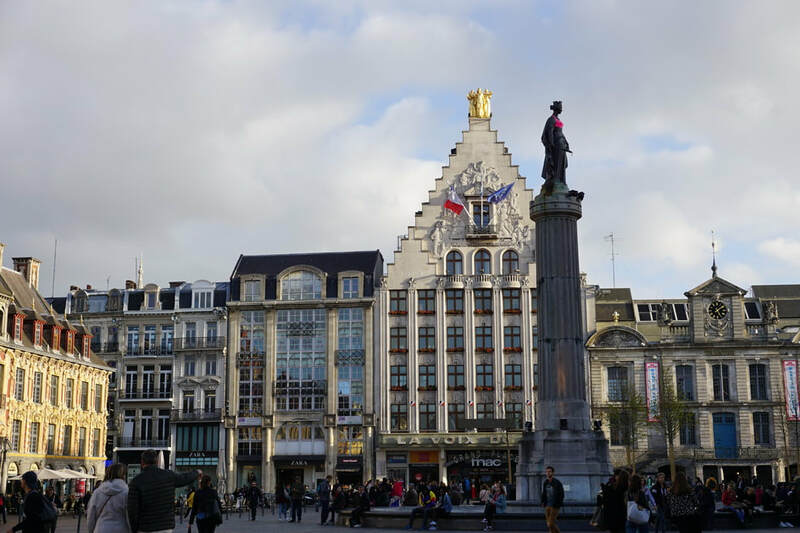 ​We had a fantastic weekend (20 -23 October) in Lille, to celebrate twenty years of twinning with the Lions Club of De Bernisse in Holland. 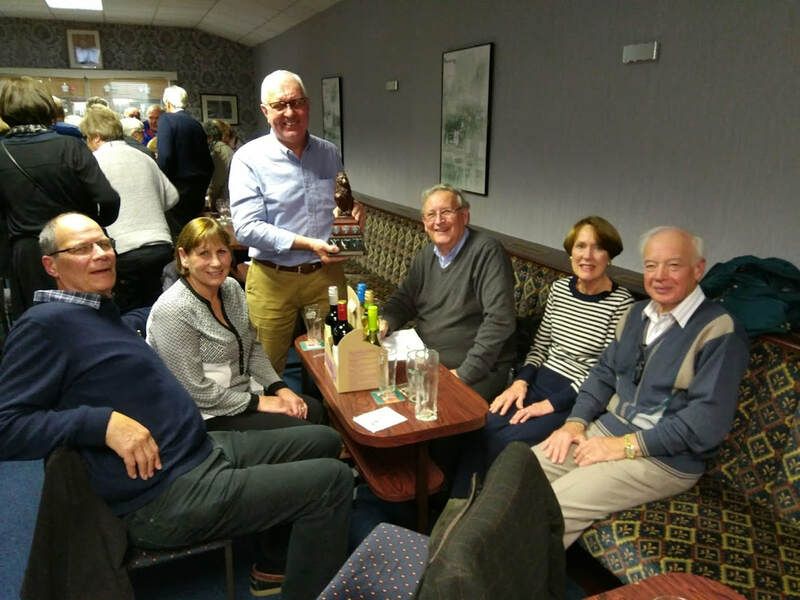 These are the super intelligent members of our quiz team that travelled to Brigg, took on twenty teams from two Zones to become joint champions with Grimsby! Well done team Axholme! Isle Lions President Richard (left), welcomes our newest member Roy Scarrot from Crowle, after his induction at our October meeting. Isle Lions President Richard Baker presents a plaque to Westwoodside C of E primary Academy headteacher June Richardson at a school assembly, while children from the school show of some of their photographic equipment presented to them by the Lions. 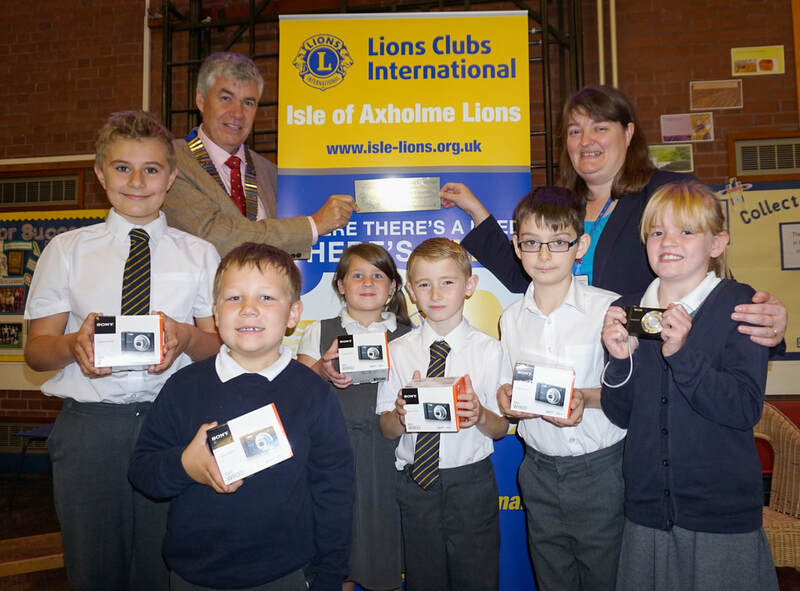 To celebrate the Centenary of Lions International, the Isle Lions are sponsoring all the schools in the Isle of Axholme, with a project of their choice to the value of £500. ​Mrs Richardson said "Westwoodside Church of England Primary Academy was delighted to be presented with new digital photography equipment to support the children's learning and to provide a record of events in school. Digital photography allows the children to record learning, use images and video in their work as well as providing a record of their school experiences to share with others and keep for the future. The children were very pleased to receive the cameras and said, The cameras will be really helpful so we can capture more special moments!" Promoting the Message in a Bottle scheme. Isle Lions President Richard, right with Lion James, pictured at a recent Crowle Market. Seven Lions Clubs in Northern Lincolnshire responded to a request by Lincoln and Lindsey Blind Society to provide assistance in providing their Sight Impairment Officers with Magnification Kits to allow them to visit those in need of visual aids to try them in their own home and decide with specialist assistance which aid suits them best. Together, Brigg and District, Winterton and District, Scunthorpe, Caistor and District, Barton, Grimsby and Isle of Axholme Lions Clubs amassed £3,700 to provide all three Officers in Northern Lincolnshire with a kit at the cost of £1,165 each. The picture shows Elena Fraser-Green together with members from Caistor, Brigg, Winterton and Isle of Axholme Lions Clubs who met to see just how useful the kits would be in bringing the service into people’s homes, rather than travel some distance with failing sight. 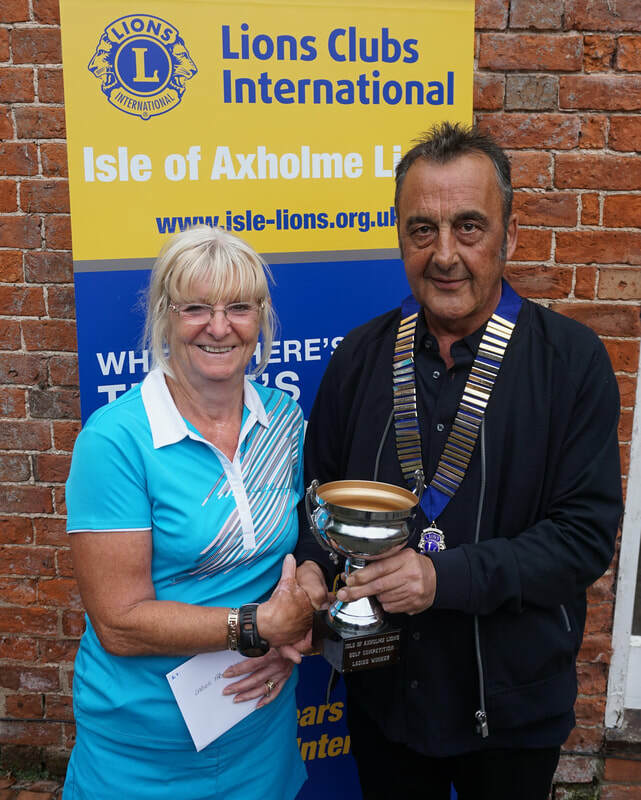 The Isle of Axholme Lions Club was formed in 1966 to raise funds for a variety of projects important to local communities and to support Lions' national and international charitable causes. 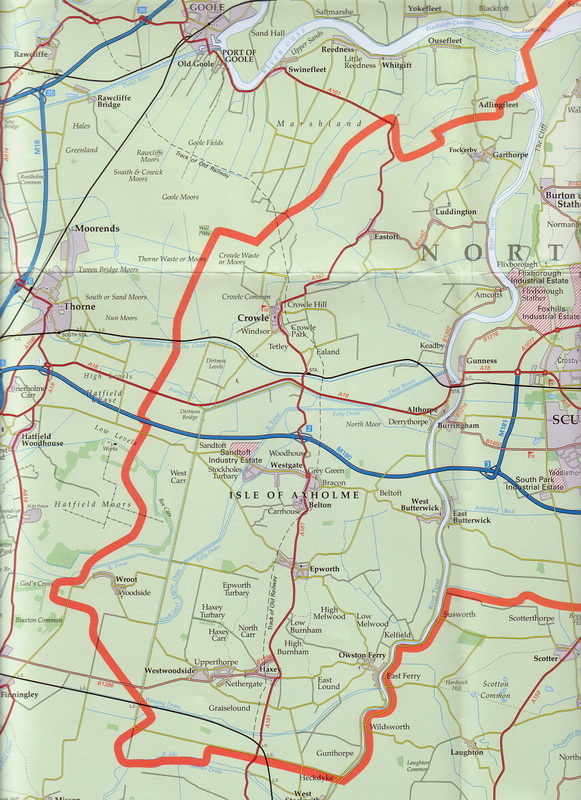 Situated in the Westernmost part of North Lincs, separated from the rest by the River Trent with Doncaster to the West and Scunthorpe to the East, the two main towns are Crowle and Epworth, there are 12 parishes containing 21 settlements, in an area of approx 52,000 acres and a population around 19,000. We are part of Lions Clubs International, British Isles & Ireland, in District 105E covering Derbyshire, Leicestershire, Lincolnshire, Nottinghamshire and Rutland. 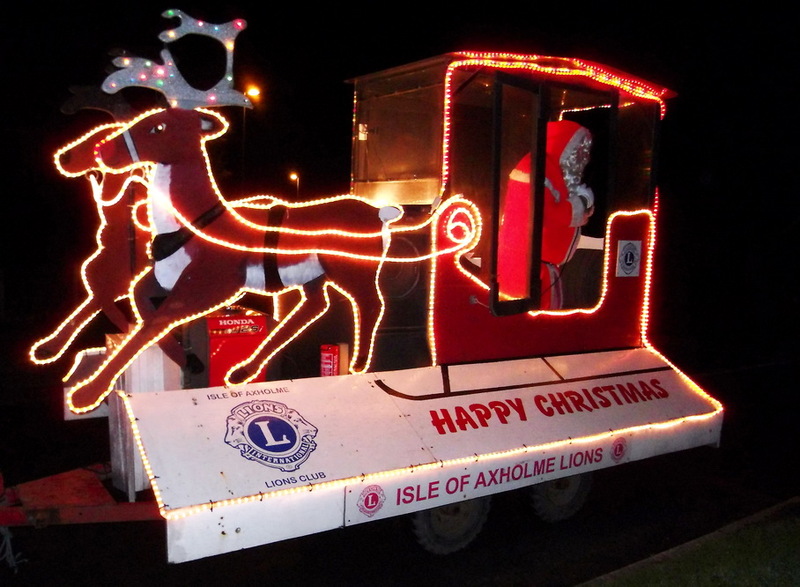 Our main fund raising is during December (1st - 24th) when we travel all over the Isle of Axholme with Santa's float, this has raised many thousands of pounds a year, over several years. 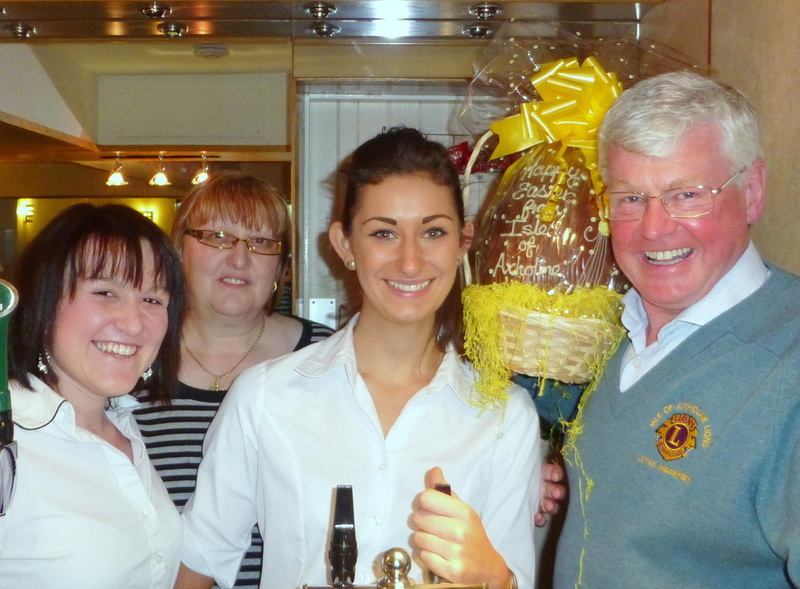 We also hold a giant Easter egg raffle over the three weeks up to Good Friday. Locating about 35 eggs at various pubs, shops, schools and other premises throughout the Isle. Our annual golf tournament in June, now in its 22nd year, hosted at the Lincolnshire Golf Club, Hirst Priory, between Belton and Crowle, is another regular fund raiser which has also raised thousands of pounds over the years. Other fund raising events, past and present, have included numerous quizzes, Burns suppers, sportsman's dinners & entertainment evenings, barbecues, bonfire nights, auctions, carol singing, hog roasts, even clay pigeon shoots and splat the rat! £250 Jonathan Graham, towards overseas aid work project. £1000 Joint project with ou twin clun de Berniise in the Netherlands.